Have you ever ended up in a website that is written so badly that it makes you want to click the back button right away? Well, really who hasn’t? The Internet is full of those − in every language. If it’s not an intentional style choice, then it’s most likely an example of low quality localization. Badly localized sites fail to reach the main goals of localization. Localization is often utilized when entering new markets. The goal is to win new customers by making the product or service feel familiar, accessible and trustworthy. 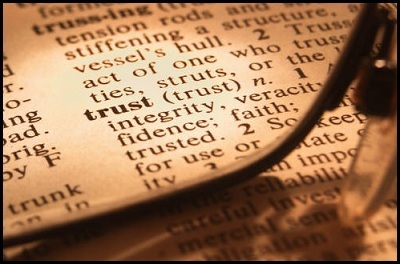 The localization quality has a huge effect on the trust building. Mistakes are like warning signs for the reader. The reader thinks that the owner of the site is either not interested in making the site more reader friendly or involved in some shady business. In other words, the big mistakes make the website look like spam. There are for example Chinese sites that are ‘translated’ to English although they still remain hardly readable to an English speaking visitor. The most incredible thing is that sometimes those sites are really trying to sell something. Without any more detailed information, I’m guessing that these sites can’t be any goldmines. This doesn’t apply to a typo or two. They’re harmless and humane. But when the amount increases enough they become harmful. However, there aren’t any rules stating how many typos will be ok and how many mistakes will start causing loss on sales. The reality is that if the visitor doesn’t understand the content she probably won’t spend another minute on the site. A responsible online shopper pays a lot of attention to the site before even considering making a purchase. If it doesn’t feel and see trustworthy the potential customer becomes just a passerby.